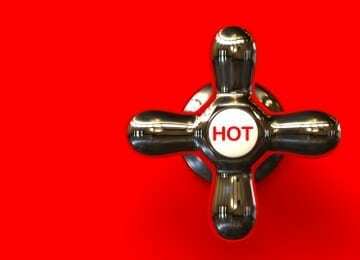 In such situations, installing an anti-scald device is an affordable way to protect against this risk. Call us today at 1-866-TIGER70 to learn more about protecting your family. An air conditioner is basically a refrigerator without the insulated box. An air conditioner is doing exactly the same thing as your fridge, except it dumps the heat it takes out of the controlled area and puts it outdoors instead of in your kitchen. To understand what goes on in the system, let’s start where the “freon” gas enters the compressor located typically in the outside part of the unit. As the outside unit (or radiator) cools this hot vapor, it condenses into a liquid just like steam condenses into water when it loses its heat. This high pressure freon liquid which has now had a lot of its original heat forced out of it, is then pulled back into the house where it waits its turn to pass through a tiny opening that is the entrance to the indoor coil that sits within your home’s air stream. By using this tiny opening to “back-up” the pressure on the outdoor part of the system, it allows the compressor to maintain a low pressure side within the indoor coil that is in your home’s air stream. When the cooled High pressure gas finally passes into this low pressure area, the difference in pressure causes part of it to immediately expand into a gas. In a sense, this is like the compressor working in reverse, because now the cool freon is occupying a bigger area, so the heat that was left in it now has to spread itself out over its bigger size. This need to use its limited heat over a now bigger gas molecule, causes it to rapidly become quite cold, so that as it passes through the indoor coil, the air passing over this coil (the radiator effect again) is cooled and then spread through your home by your home’s duct work. 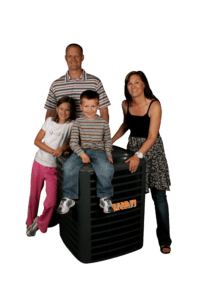 Meanwhile the heat that was taken out of your home’s air, has entered the warming freon gas so that when it gets back to the compressor the whole process is repeated. According to the Environmental Protection Agency (EPA), drinking water, including bottled water, may reasonably be expected to contain at least small amounts of some contaminants. The presence of contaminants does not necessarily indicate that water poses a health risk. EPA sets standards for approximately 90 contaminants and indicators in drinking water. The presence of indicators at a level outside of specified limits may reflect a problem in the treatment process or in the integrity of the distribution system. You and your family can enjoy purer, better tasting water with water filtration systems that stay out of sight and require little maintenance. For pennies a day, these systems remove undesirable chemicals which may be present in the water supply, along with lead, sediment, chlorine and sources of other tastes and odors. Options range from whole-house filtration systems to those which reside under your kitchen sink and are tapped at a separate faucet. If water quality, effectiveness and convenience are things you’re concerned about, a built-in filtration system may be right for you. Call us today at 1-866-TIGER70 to learn more about protecting your family’s water. As the mercury rises this summer, so can the costs of keeping your home cool. While news reports about high energy prices may have you in a sweat, the Federal Trade Commission has some tips to help you save money while keeping your home cool this summer. Have your central air conditioning (AC) system serviced each spring. Hire a professional, like Tiger Plumbing, Heating and Air Conditioning Services to seal and insulate leaky ducts, and to ensure that the airflow distribution system serving your equipment is operating at peak efficiency. Have us come out and install a programmable thermostat. You can save money by keeping your house warmer than normal when you’re out. Install drapes, shades, blinds or another window covering. Keeping them closed during the day blocks the sun and the heat from the sun’s rays. If you’re buying a new air conditioning system, make sure it is sized correctly (bigger is not always better) and installed properly for cost-effective use. 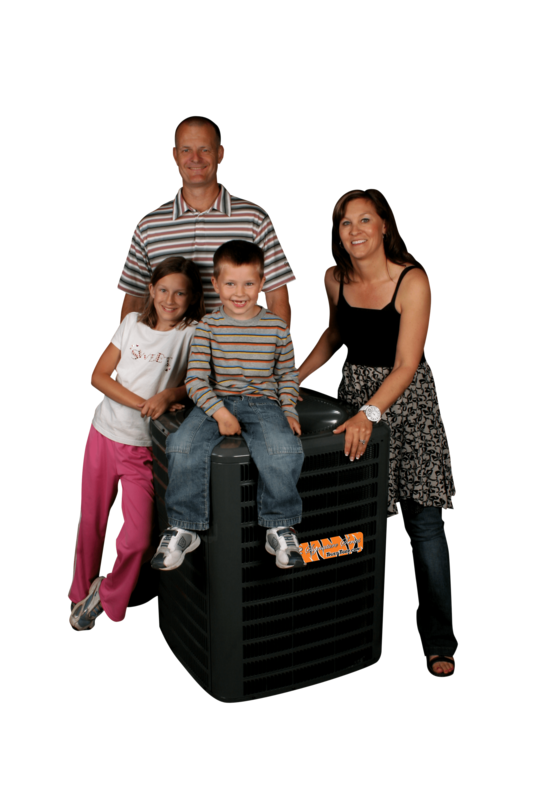 When selecting a new unit, be sure to consider high-efficiency models. While energy efficient appliances may cost more up front, they may save you money in the long run. 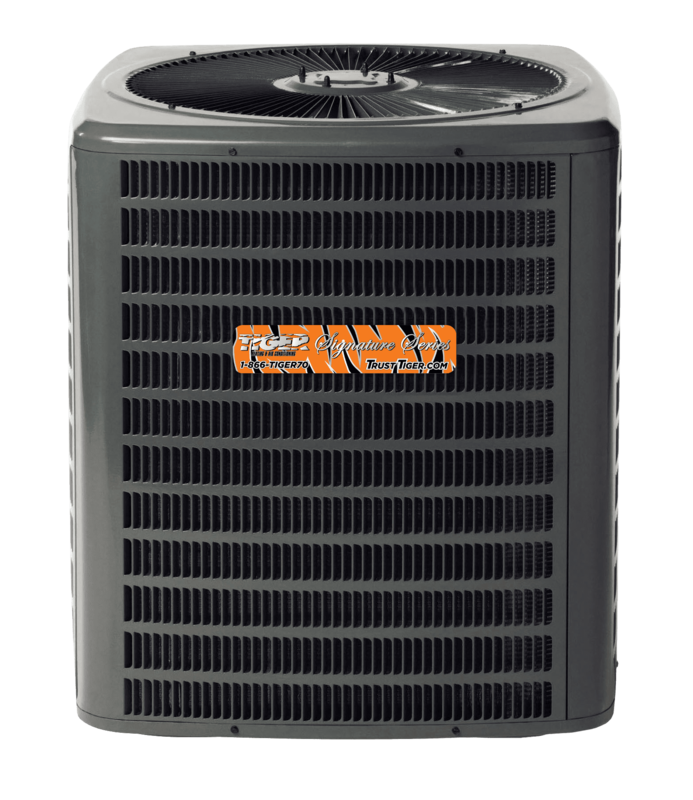 Air conditioners with higher energy efficiency ratios are more energy efficient.Tiger can help you with any cooling problem you may be having. Give us a call today!